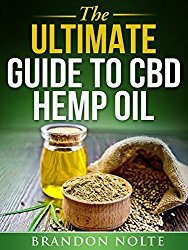 Hemp oil, as the name suggests, is processed from the seeds and stalk of the hemp plant. Despite its source, CBD oil has nearly none of the psychoactive THC element which is the primary difference between CBD and THC. In fact, much of hemp oil is composed of omega fatty acids, which are also found in fish and olive oil. Before delving into the side effects of hemp oil, it’s also important to note why people use it and what benefits it has in the first place. Whether consumed raw or on the dining table as a food sauce, hemp oil serves the body in many ways. It not only is a source of energy but also stands to improve your overall wellness. The oil also provides minerals, like calcium, magnesium, sulfur, potassium, phosphorus, iron and zinc, which are critical to the well-being of your body. Amino acids are other beneficial compounds found in the oil. Aside from being a supplement, you can use CBD oil for skin care. When applying as part of your skin care regimen, it moisturizes and enhances blood circulation. It has similar effects on the skin when used for massaging. In addition, it is an effective anti-aging agent, as well as a remedy for skin conditions, like psoriasis, eczema, acne, and dryness. Indeed, these are only a few of the uses for hemp seed oil. It has far more benefits, some of which cannot be found elsewhere. In fact, it’s often used for medicinal purposes and is sometimes safer than other medicines, which can be harmful to the body and come with more intense side effects. However, hemp oil isn’t entirely free of side effects, and it’s important to be aware of the possibilities. While most people never experience any significant, unexpected effects, knowing them beforehand will help you deal with anything that may come up. Heating hemp oil above 121 degrees F breaks down the polyunsaturated fat in the substance into harmful peroxides. Exposure to this compound can damage your skin and other organs. There is also a probability of the produced chemical exploding and causing fires. It is, therefore, advisable to use the hemp seed oil only on warm and cold dishes. You should store CBD oil in a cool area removed from direct sunlight, as this can degrade its quality over time. Remember, hemp seed oil is all natural, and it’s perishable just like other natural products. Keeping your oil in an airtight container, preferably in the fridge, is the best way to ensure its longevity. Some people experience stomach problems, like softening of the stool, which might degenerate into diarrhea and painful cramps. If you are susceptible to bowel movement disorders, consult your doctor before taking CBD oil or consider a different course of treatment. Even though the amount of the psychoactive element of THC in hemp oil is ordinarily negligible, some people still get high after consuming it. This may lead to hallucinations and anxiety. Stop using it if you are overly sensitive to THC. Seek the opinion of your doctor if you must continue consuming it. Different products can contain different levels of THC, so it may be worth trying out various forms of CBD until you find one that works for you. However, the amount of THC is generally low enough that the vast majority of people won’t notice any psychoactive effects. 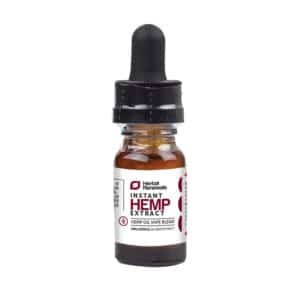 Hemp oil may affect how anticoagulants and blood platelets work or even stop their production. Blood platelets are critical in the process of blood clotting. Because of this possibility, people with blood clotting deficiencies should consume hemp oil only after consulting with their doctors. Knowing these hemp oil side effects is a step in optimizing its benefits. In many cases, the difference between a side-effect-free benefit and a disaster is a few pieces of information. If you’re unsure of the potential risks or how you’ll react to hemp oil, it’s better to be safe than sorry—ask your doctor for more information. Put simply, the best way to mitigate the side effects of CBD is to lower your dose—the lower the levels of CBD in your body, the lower the chance you’ll experience side effects. However, since the side effect profile is so small to begin with, consider gradually increasing your dose until you find the right balance for you. One of our best recommendations for people looking for a reduction in side effects is the CBD Oil Spray from Herbal Renewals. 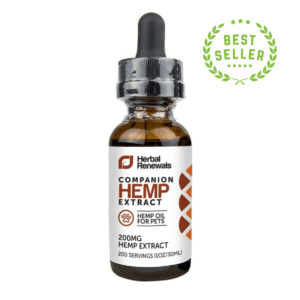 With a small serving size and an easy format for precise dosing, this product is a great way to experiment with different quantities of CBD until you find what’s right for you. While most people experience little to no side effects from CBD, it’s important to be aware of the risks involved before you start your treatment. Without this information, people may not realize that CBD oil is the cause, or they may think that a symptom is being caused by the product when it’s actually something else. If you notice unexpected effects, consider talking with your doctor about other treatment options or ways to decrease their intensity. 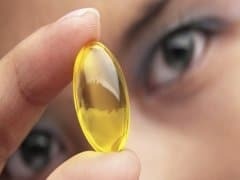 Trying different remedies and doses is the best way to continue treatment while reducing side effects, as people will respond in unique ways, depending on a variety of factors. Once you’ve had a chance to experiment, you’ll be able to find something that gives you the benefits you need with the fewest possible drawbacks. We’d like to hear from you! Did you know about these hemp oil side effects or have you experienced them?